This is an article from Sneakers Magazine Print Issue #23. 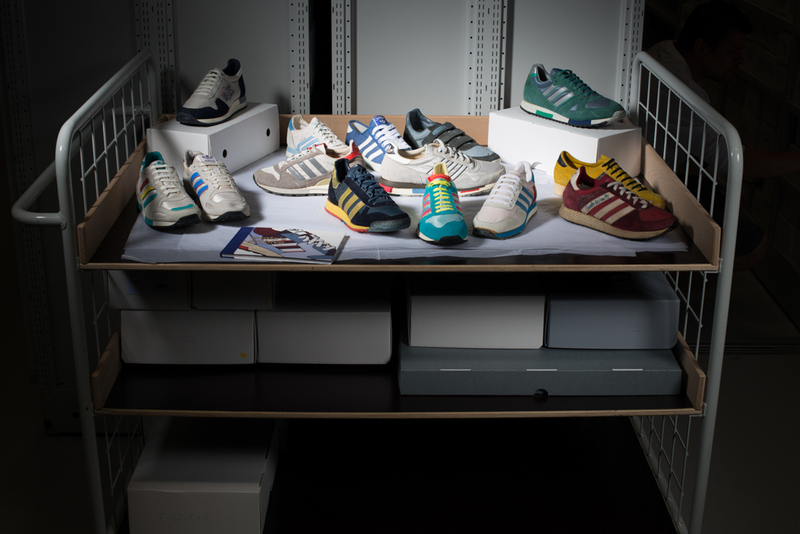 Together with adidas collector Quote and illustrator Peter O’Toole, we visited the adidas archive, where they did some extensive research for their book “Quote’s Archive”. The book features great illustrations and models from the 70s and 80s, all from Quote’s personal collection. 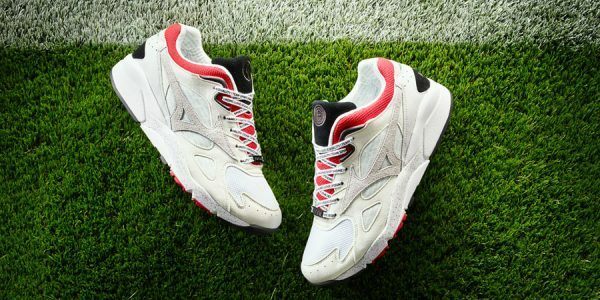 The accompanying shoe was the “Quotoole”, a ZX 420, shown on the cover and later released in limited numbers as a Consortium drop. We interviewed the two in Herzogenaurach where they met for the very first time and were able to take a first glimpse at their printed baby. Quote, this book must have been quite a journey for both of you. Whose idea was it in the first place? The whole thing goes back to an idea Peter had, but it started out differently than you would probably expect. Peter wanted to design another poster, which would only show shoes that were illustrated by him, but were also part of my collection. He did that, but then he also asked me to participate in a book and write the texts about the models that he illustrated. I really loved the idea and that’s where it all started. Peter, you’ve been illustrating adi shoes for a while now. 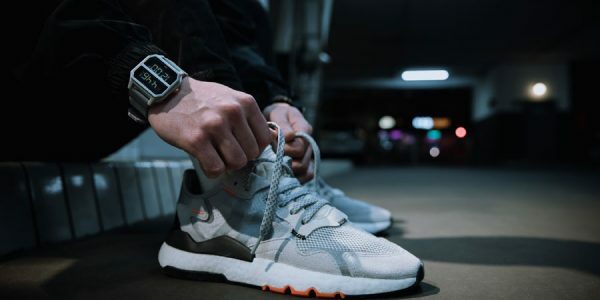 What triggered your love for the three stripes in the first place? 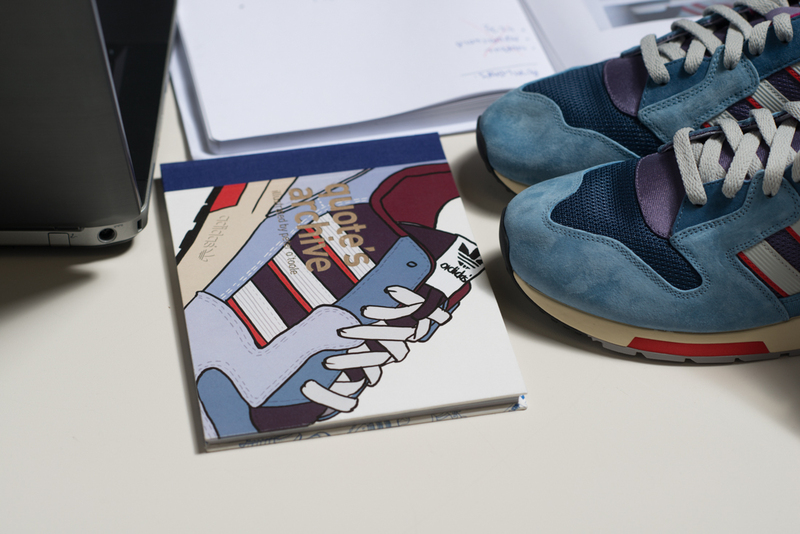 I just really got into adidas trainers around 2002/2003, I saw some of the city series reissues around that time and started researching how many city models there actually were and how far back they went. This really triggered my interest in the heritage of the brand. This is always interesting for us in Germany, because trainer culture in the UK is so different. 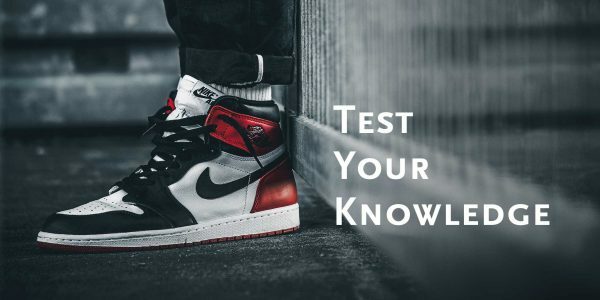 How did you grow up with sneakers over there? Yes, it’s a weird one in the UK! It’s a phenomenon that started in the early 80s and is still going strong, if not the strongest it’s ever been. 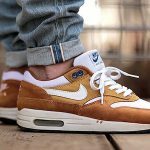 It’s quite unique in the fact that these type of shoes aren’t really popular or as popular anywhere else in the world! In the early 80s it was introduced with the football casual scene and that’s pretty much how I got into it as well. Although when I got interested in adidas they had already started re-introducing models from those early days. Quote, we’ve covered your beginnings as a collector in previous articles. But how did you first take notice of Peter? That must have been in a Facebook group. 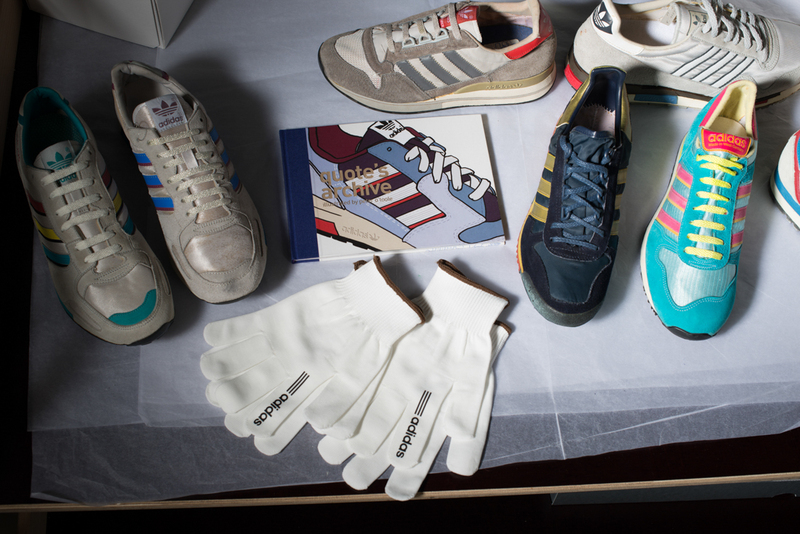 It was the first of his posters with the about 100 vintage adidas models on them. 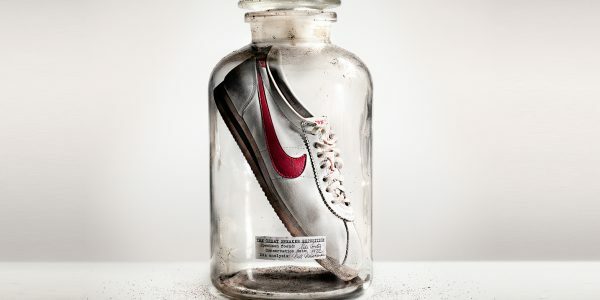 And although I’m not so much into “sneaker art” in general, I had to have this poster. A short while after, he came with a second poster and we stayed in contact. 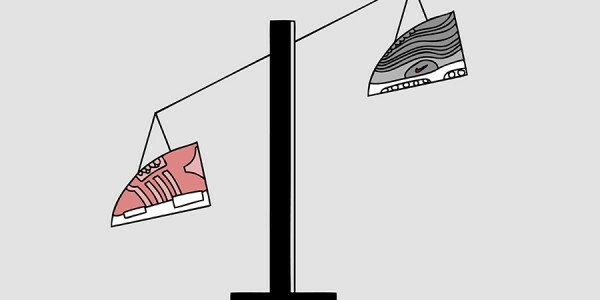 Apart from the sneaker illustrations, I like his style in the rest of his work as well. And when did you first encounter Quote, Peter? I remember seeing his name on the old Crooked Tongues adidas trainer forum. He and a guy called “10ari” always seemed to be dropping knowledge on production years and variations of vintage shoes back when this information wasn’t widely available on the net. I was impressed, but not as impressed as I was when I saw his collection! Over the years we’ve kept in touch, mainly on Facebook. So I was always updated. And as Quote said, when I wanted to do a new poster, I immediately thought of asking him if I could illustrate his collection. He agreed, and the rest is history! Quote, now you’re officially an author. How was that part of the experience? When Peter approached me with the book I didn’t have any idea about the amount of work that this would entail! Not only the research but also forming the information into bits of text, it was more difficult than I’d expected. I wanted to do it as informative as possible without being boring or repetitive. When there wasn’t much information available, it had to be more of a personal anecdote. I’m also happy that Ernie Beckmann translated the texts for me, because my English wasn’t good enough. Nice – a shoutout to our editor Ernie here, he’s done a great job! Peter, what were the challenges on your side? It all depends on what style I’m going to draw it. 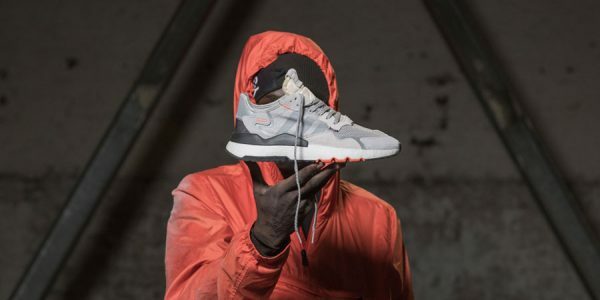 How rare the trainer is, and how much detail I want to put in. 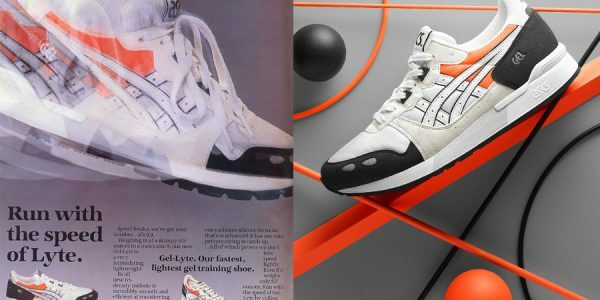 There are some trainers like the vintage adidas Michigan model on one of the posters that was a fairly simple trainer to draw, but finding reference pictures was close to impossible. I only found one, I think! And it was really low resolution. Other than that, it’s not challenging really, its just time consuming! Especially the style I drew for the promotional stuff for the adidas Hamburg re-launch and the Tournament Edition stuff in the UK. How do you approach something like this? Can you take us through your working process? Well Quote and I decided on fifty or so models to illustrate for the book. So then Quote’s job was to get photos of the shoes, if not of the actual shoe he owned, then a catalogue photo or something similar. If I was to draw more than one colorway for the shoe, I needed to know exactly which ones and have photos, ideally. On a good day I could probably draw four to five very detailed drawings like you see in the book. Some of which have up to three different colors. 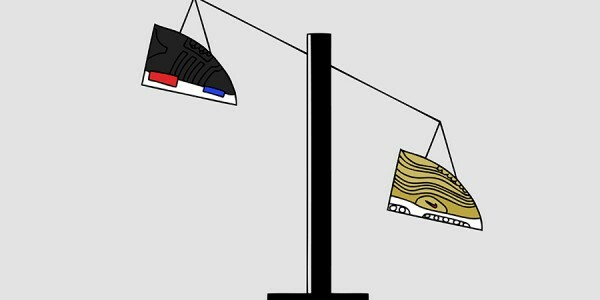 For each color I tried to re-draw the shoe in a different position so it didn’t get repetitive. I checked everything with Quote. Once the drawings were finalized, I sent onto Adam who was working on the layout! Peter, what’s your opinion on Quote’s taste in footwear? I think it’s great. He has many of the classic city silhouettes, but more runners! I was never really into the running shoes before this project. I have bought a fair few more pairs since, and also the “Quotoole” was based on a running shoe, which I’m extremely excited about. The book deals with a very specific period in time. 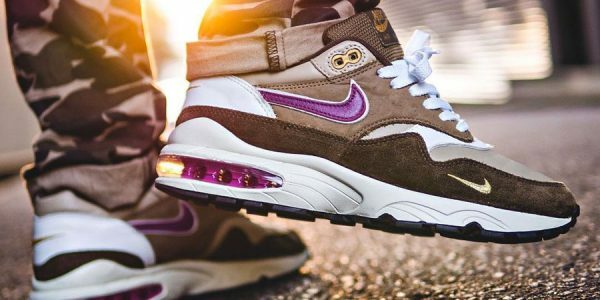 What makes the shoes from that era special? 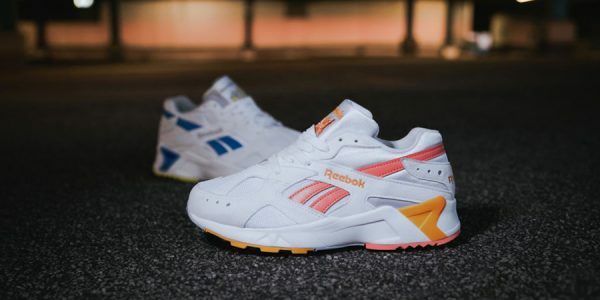 The 80s seemed to be a transitional period for the company. Different factories in different countries were competing and experimenting with different materials and shapes. We, as the adidas fans and collectors, benefited with some great colorways and models, some of which you still haven’t seen again to this day. Peter, what was the most special thing about doing this book together with Quote? 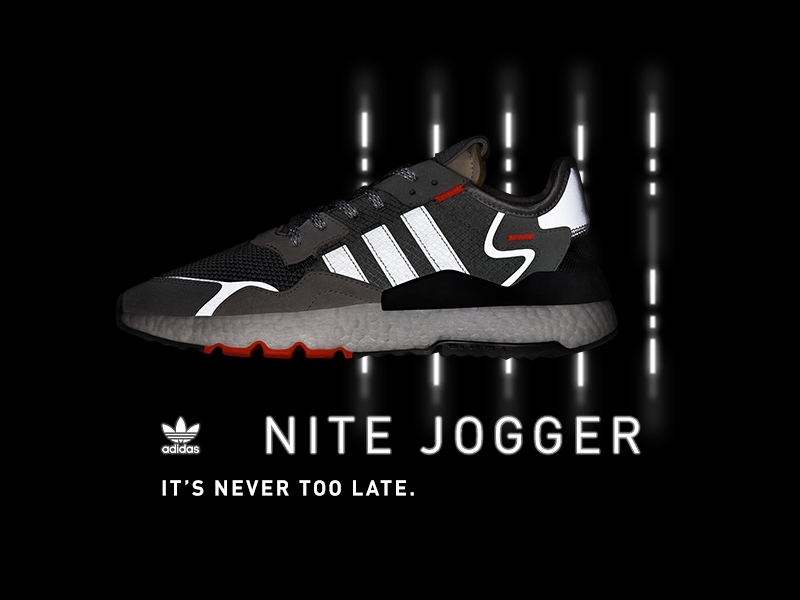 Well, the whole project has been a dream come true but if I had to single out one thing … having the words “endorsed by Peter O’Toole” with my face and signature on an adidas shoe has got to be the icing on the cake. Never in my wildest dreams did I think that would happen! Quote, and what about you? For me, it’s a dream come true. 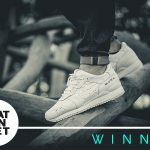 I’ve read probably every book that has to do with sneakers and now I have contributed to my own … And also working with talented people like Peter or Adam, who was our graphic designer. Apart from that, I’m proud that the people at adidas found the project interesting and have supported it. Seems like there’s nothing in the way of a follow-up! 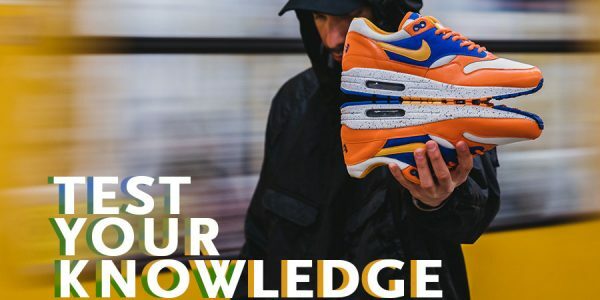 This is an article from Sneakers Magazine Print Issue #23. 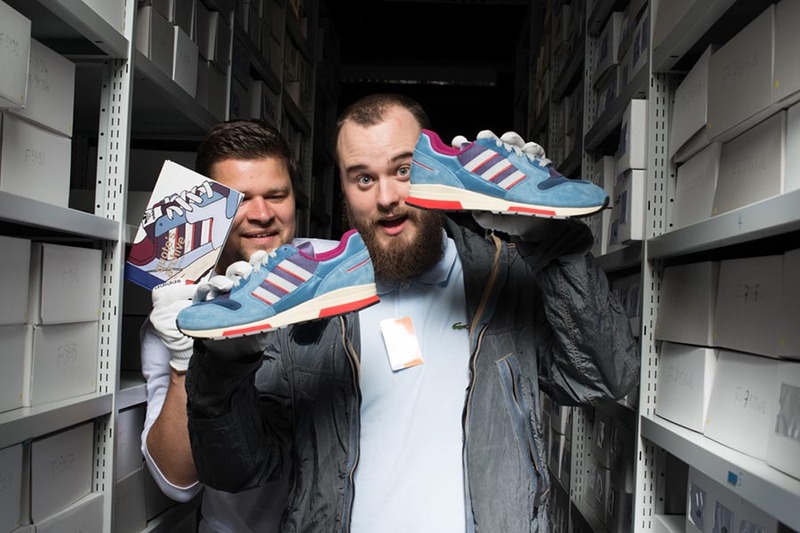 Together with adidas collector Quote and illustrator Peter O’Toole, we visited the adidas archive, where they did some extensive research for their book “Quote’s Archive” (which by the way you can still order at shops like 43einhalb). The book features great illustrations and models from the 70s and 80s, all from Quote’s personal collection. 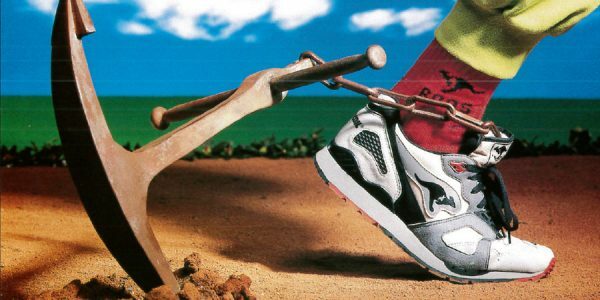 The accompanying shoe was the “Quotoole”, a ZX 420, shown on the cover and later released in limited numbers as a Consortium drop. We interviewed the two in Herzogenaurach where they met for the very first time and were able to take a first glimpse at their printed baby.